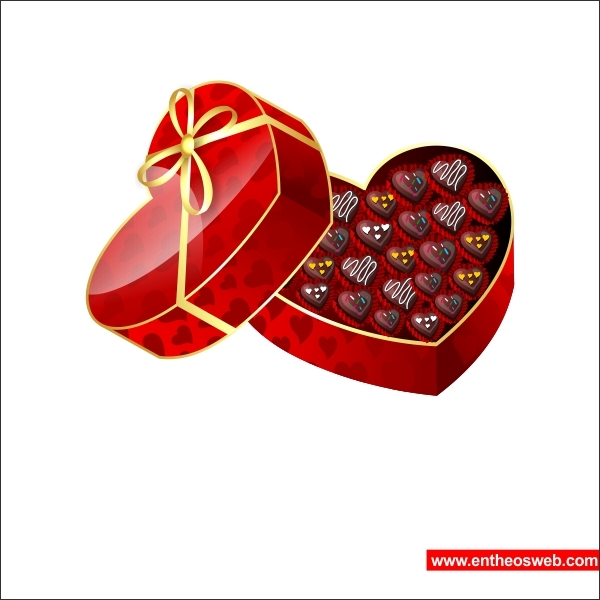 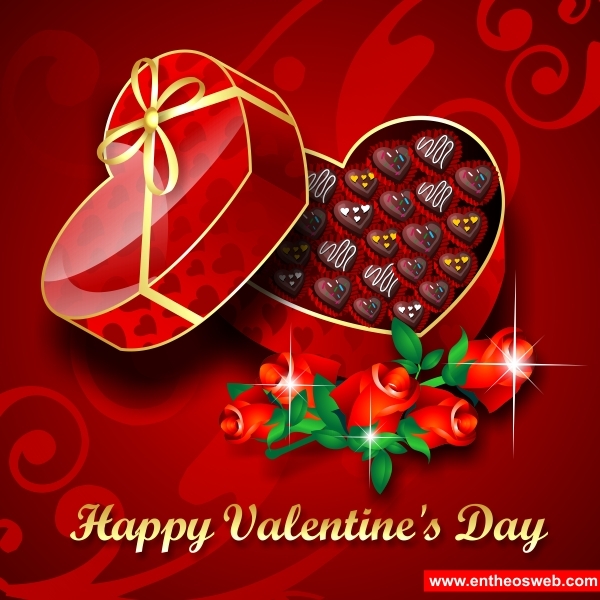 In this tutorial you will learn how to create a beautiful red heart chocolate box with CorelDraw for Valentine's Day. 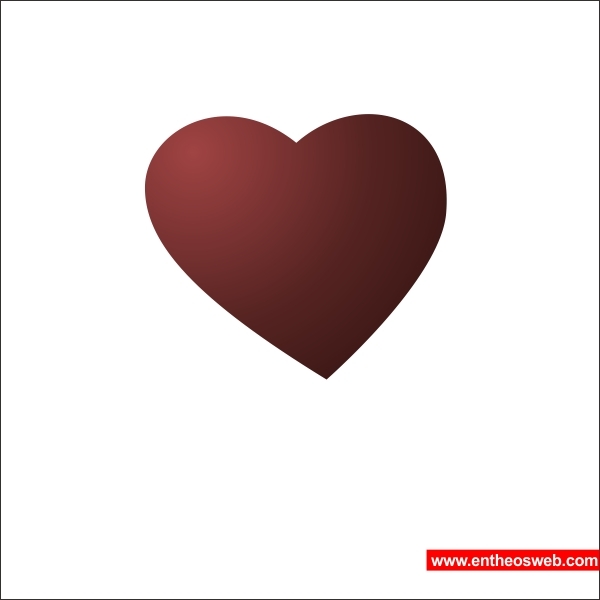 Learn to maximize the Gradient fill tool and Freehand tool to create a beautiful design. 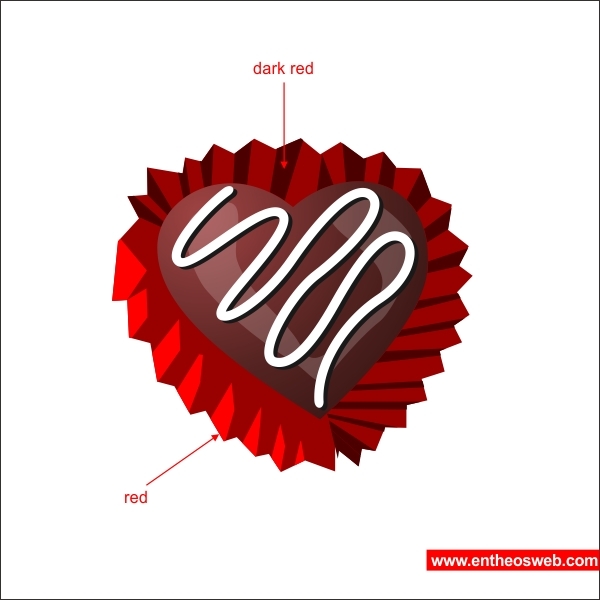 After working through this tutorial you'll be able to create similar designs in your work. 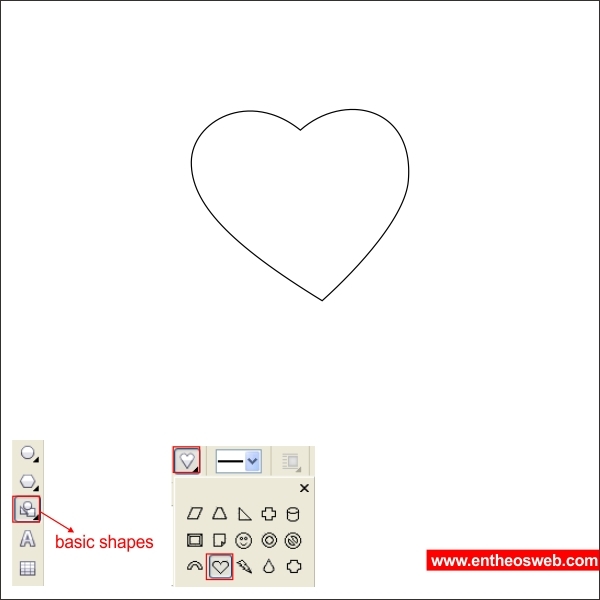 Now that we have our worksheet set, we will begin to create the Outer Box, go to the "Basic Shape Tool " and find the heart shape, click it and apply it to the worksheet. 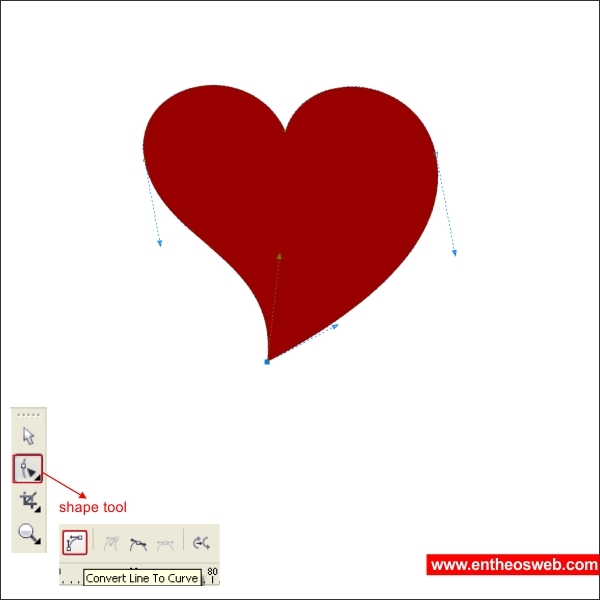 After that in the top toolbar, find Effects > Add Perspective drag the corner to make the heart shape angled. 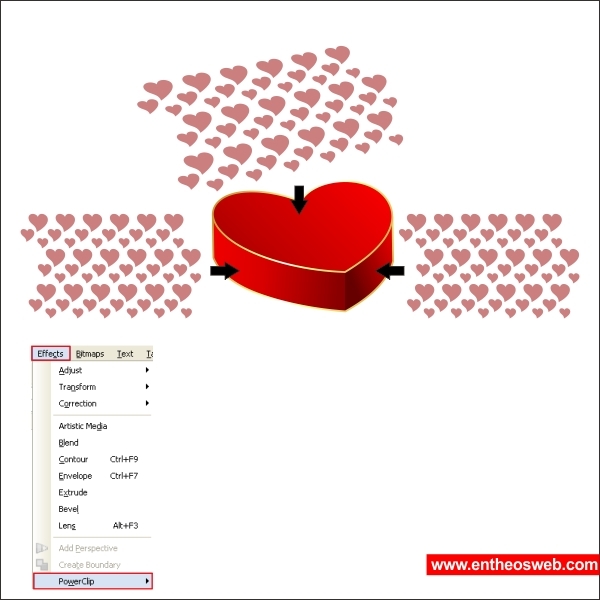 Go to the "Fountain Fill Tool", and apply the value below to the heart shape. 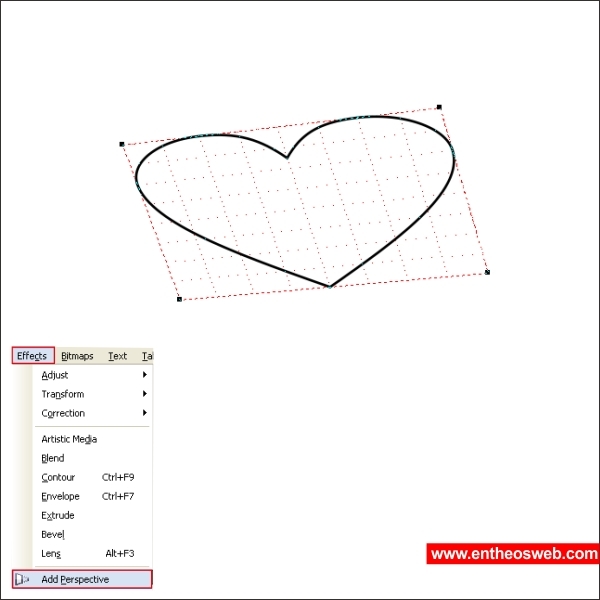 Now select the heart shape and go to the "Extrude Tool" and apply the value below to make the heart shape thicker. 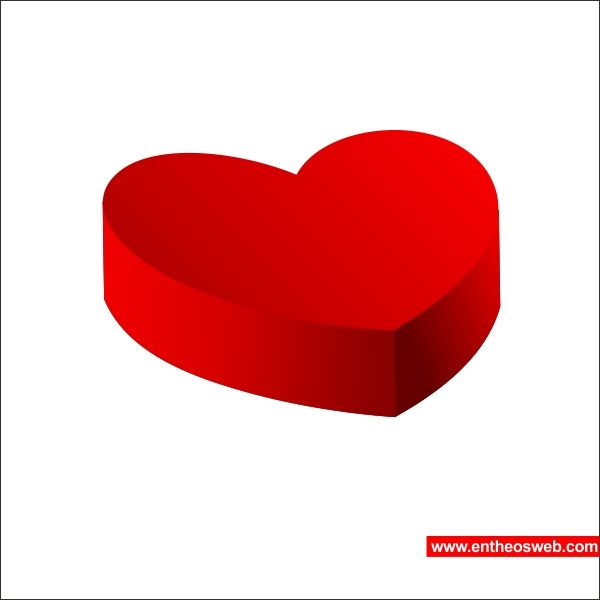 Break the Extrusion by pressing "Ctrl + Q" and put the Extrusion the same color as the heart shape. 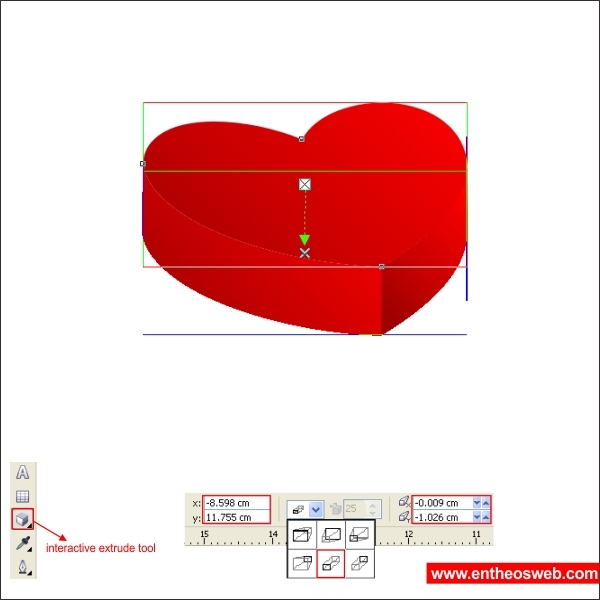 After that create an outline using "Outline Tool", make the width 2 pt and mark the scale with image, so the outline will follow the size of the main objects. 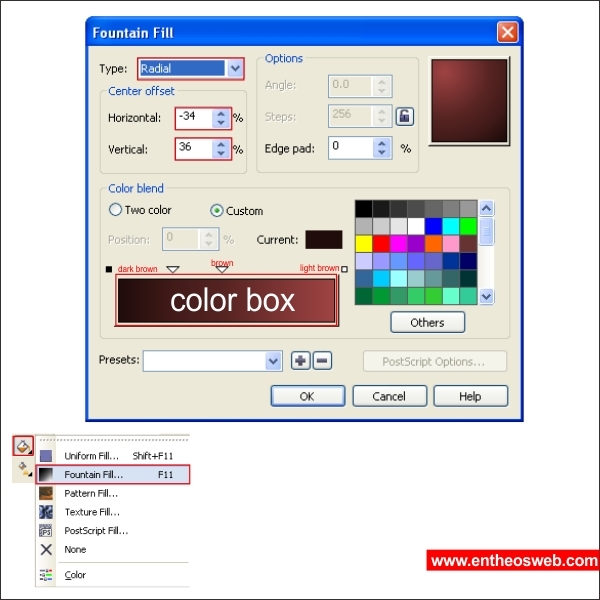 Separate the Outline by pressing "Ctrl + K" and put color in it by go to the "Fountain Fill Tool" and apply the value below. 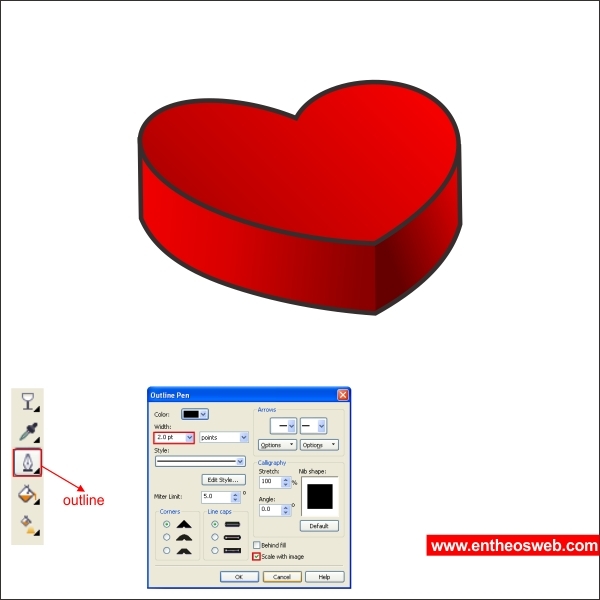 After that create another Heart shape with "Basic Shape Tool", put dark red color in it and shape it with shape tool. 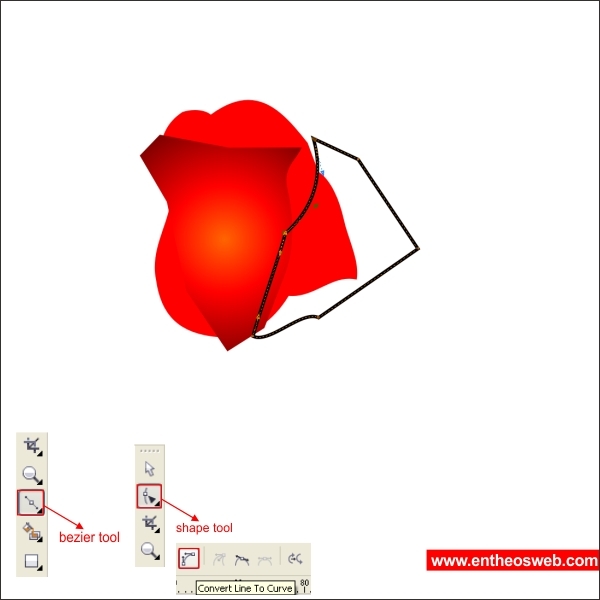 Make it transparent by using "Transparency Tool" and apply the value below. 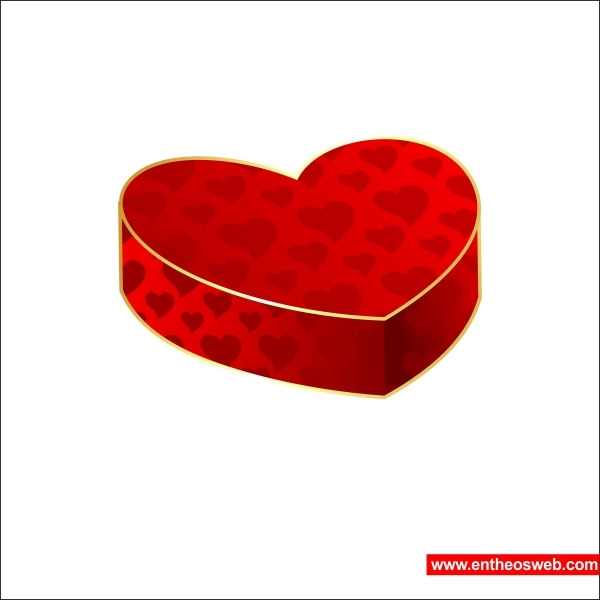 Now put the heart pattern on each side of the Outer Box using Effects > PowerClip > Place inside container. 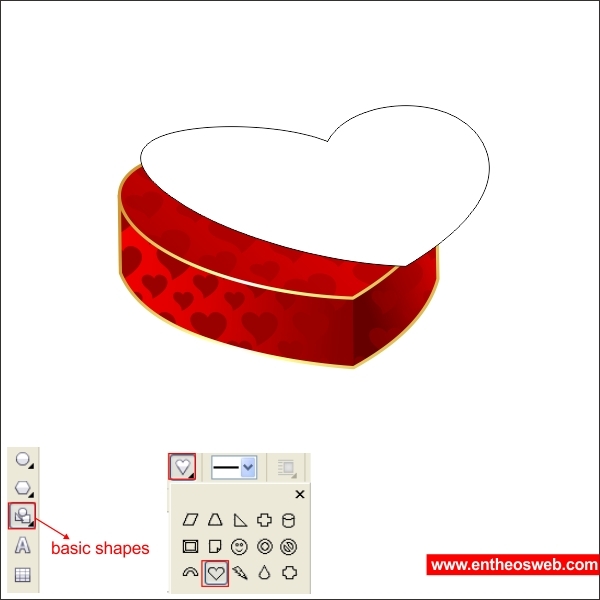 Create another heart shape, put white color in it and arrange it on top of the Outer Box. 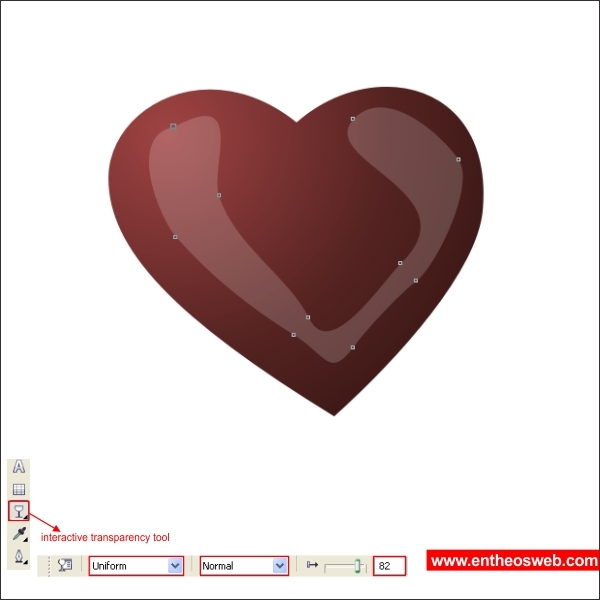 Select the white heart shape and make it transparent using "Transparency Tool" and apply the value below to create similar. 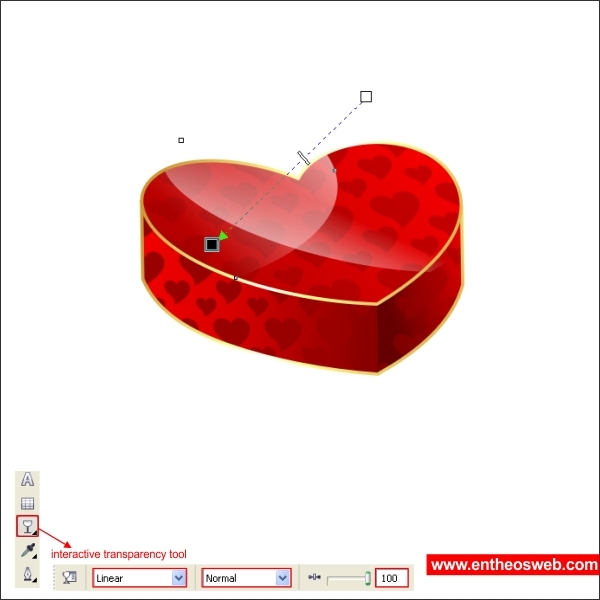 Using the same methods create another transparent heart shape to create a shine texture. 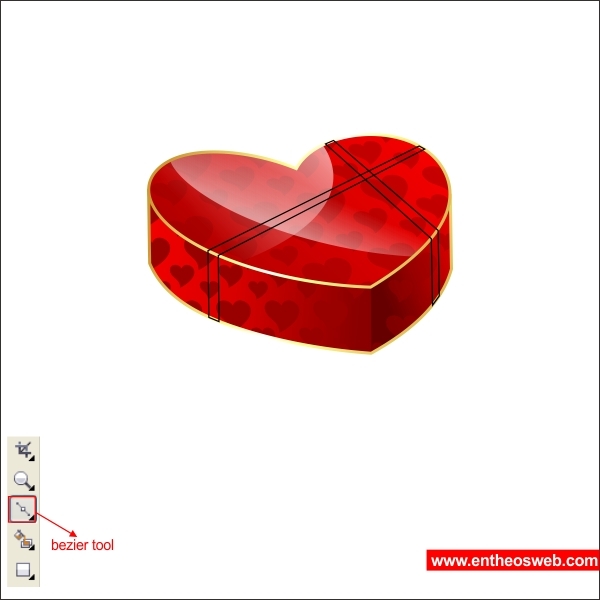 Now create a cross ribbon shape that wrap the Outer box using "Bezier Tool" similar like below. 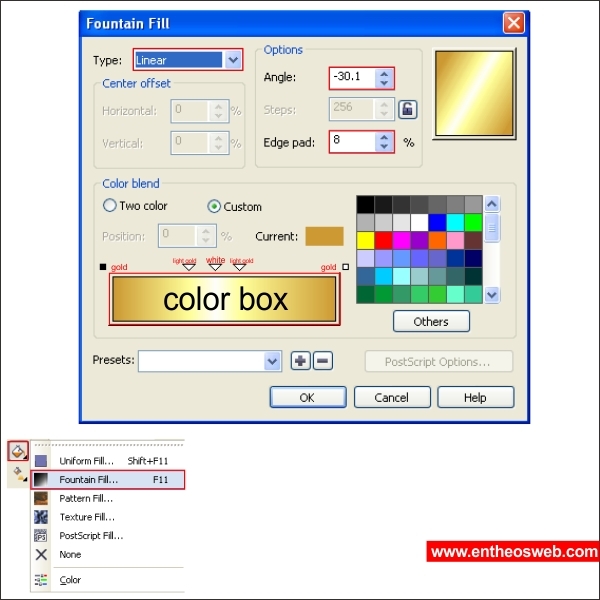 Put a gold gradient color in it using "Fountain Fill Tool". 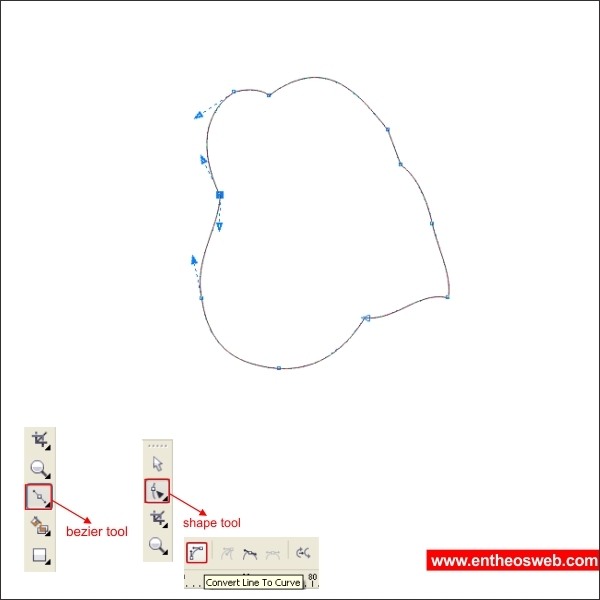 After that create two custom shape that looks like a Ribbon knot using "Bezier & Shape Tool", similar like below. 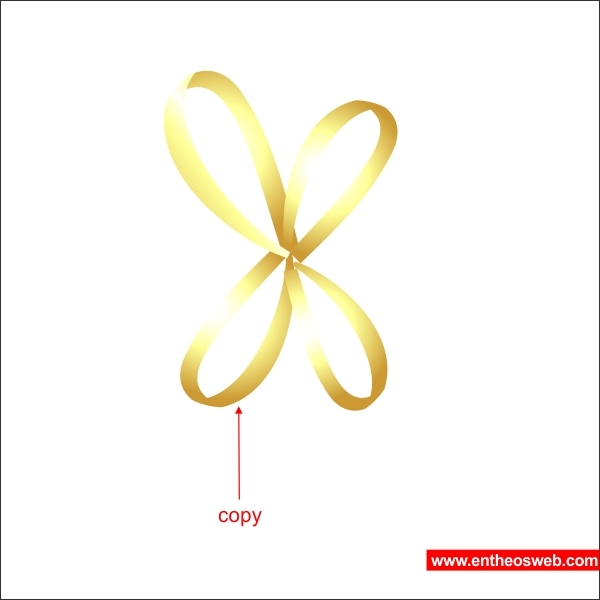 After that copy it untill it looks like a four knots ribbon shape. 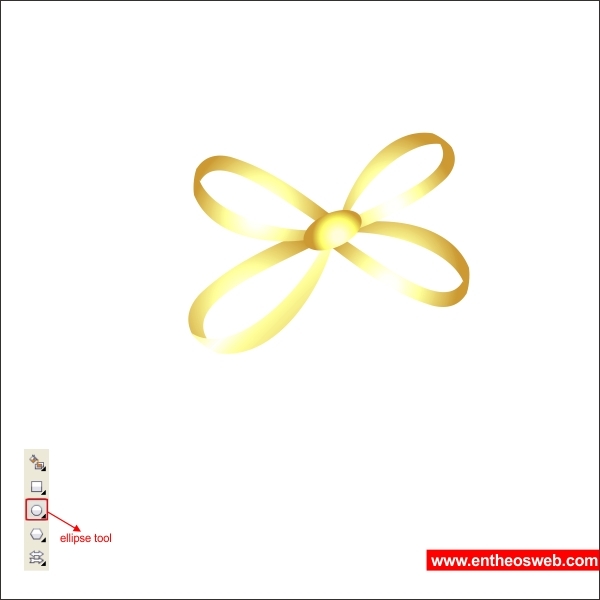 Now create a circle shape on top of the ribbon and put gold color gradient in it similar like below. 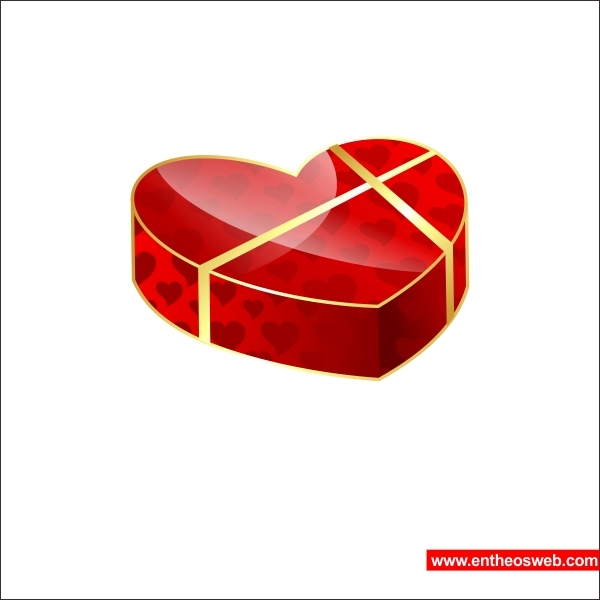 Group the ribbon by pressing "Ctrl + G" and arrange it on top of the Outer Box. 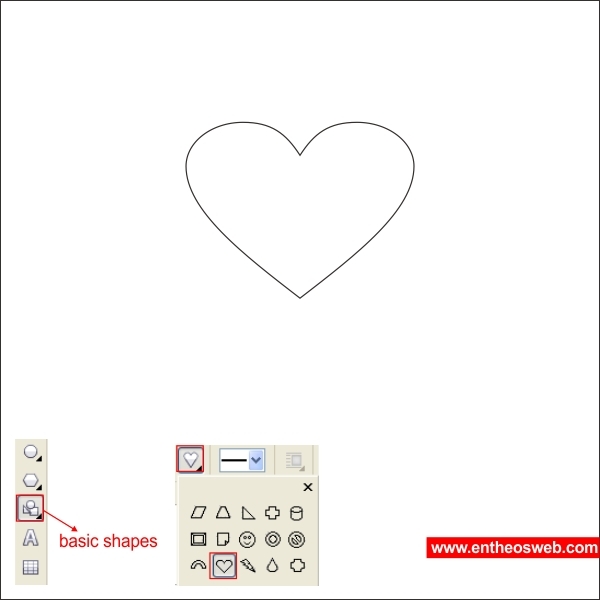 Okay now we are going to create the Inner Box, create a heart shape using "Basic Shape Tool". 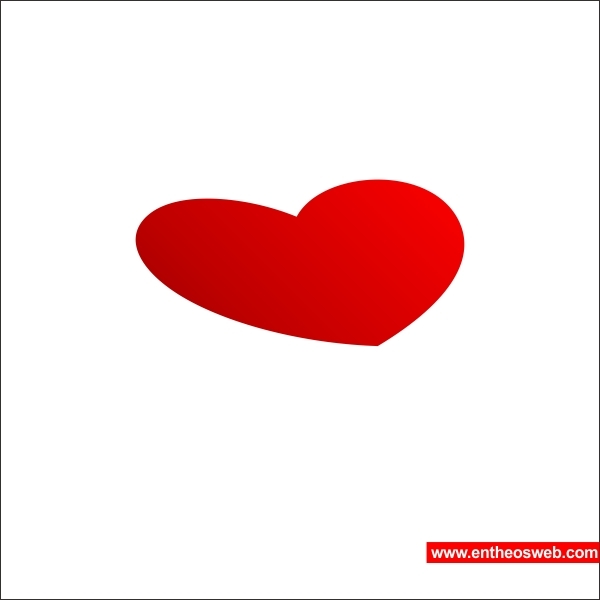 Put a dark brown gradient color in it. 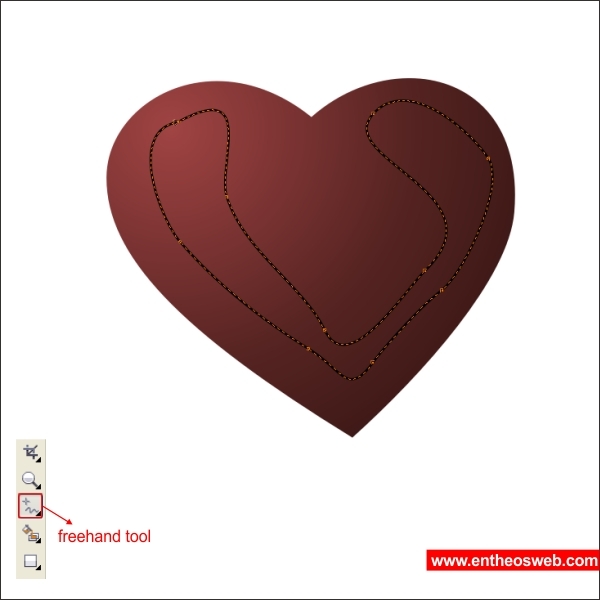 After that using "Freehand Tool" create a custom shape similar like below, make sure you follow the flow of the heart shape. 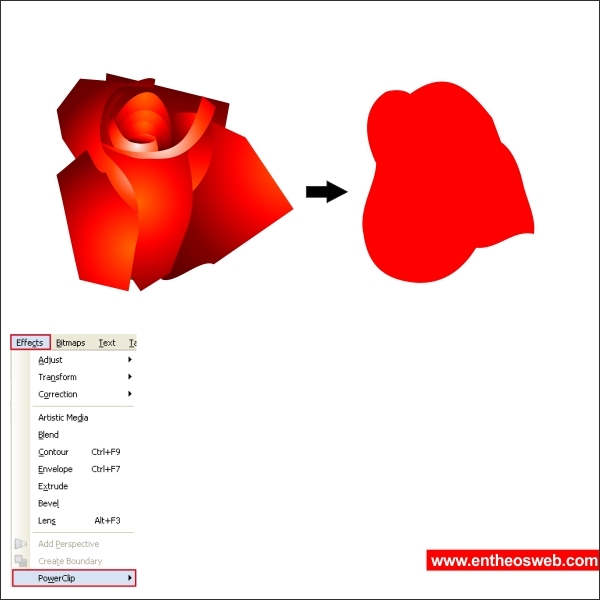 Put white color on the custom shape and make it transparent using "Transparency Tool". 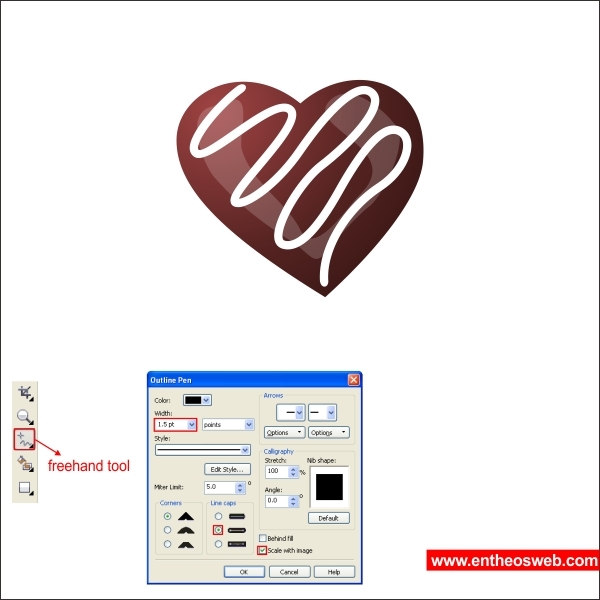 After that create a cream like shape on top of the chocolate heart shape using "Freehand Tool", set the outline similar like below. 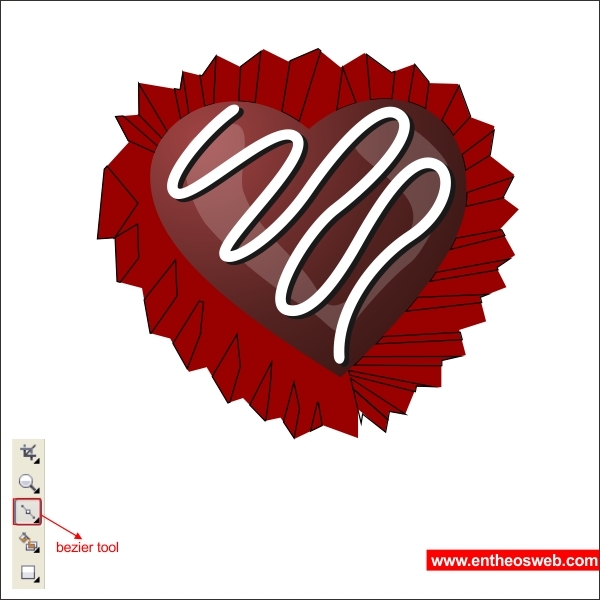 Okay now create a wrapper for the chocolate heart shape using "Bezier Tool" similar like below. 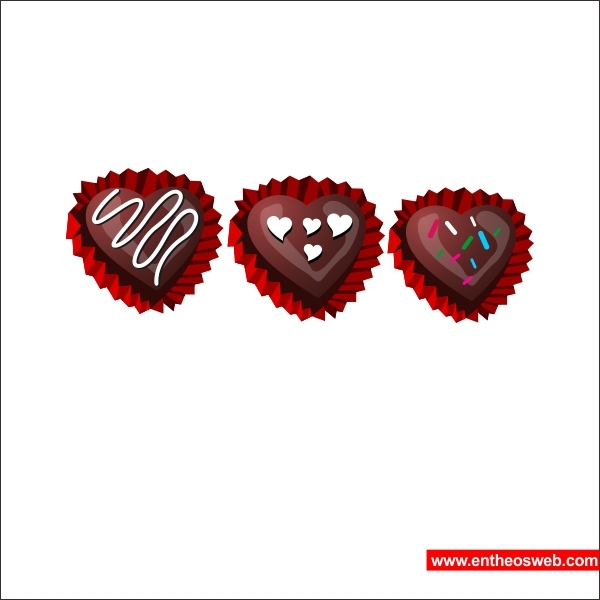 Put different color on the wrapper textures to make it more realistic. 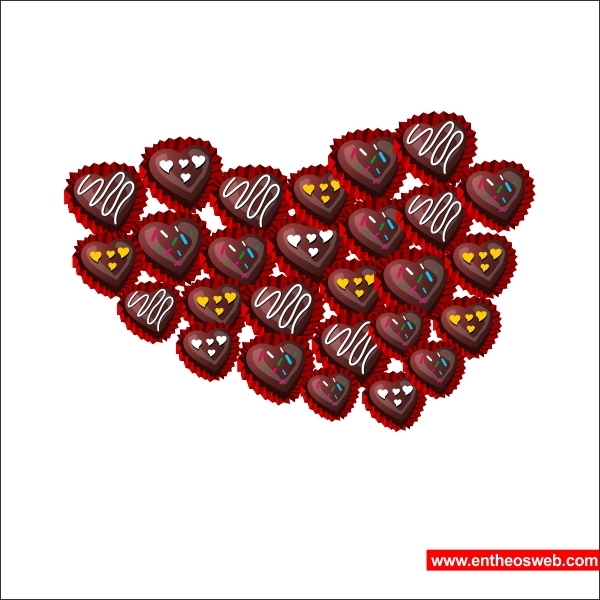 Using same methods as above create as many as you like chocolate variations. 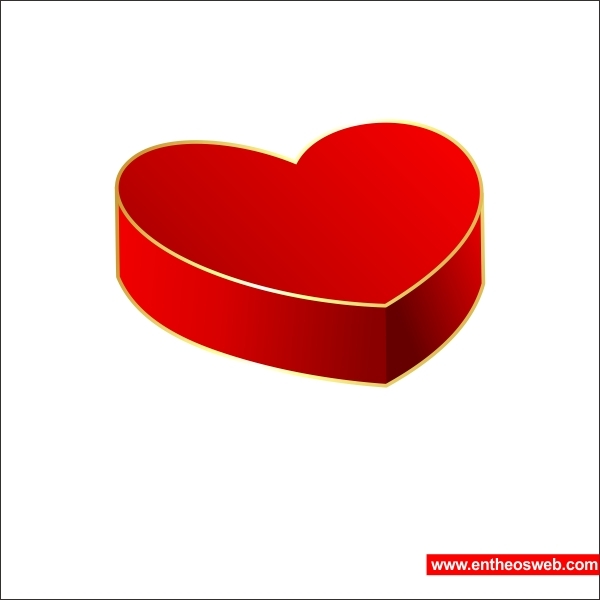 Arrange it untill it looks like a heart shaped chocolate, similar like below. 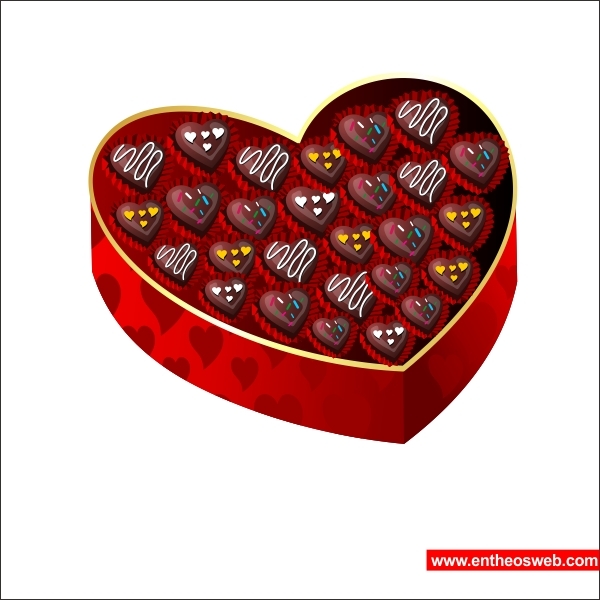 After that copy the outer box, remove the ribbons and place the chocolate on top of it. 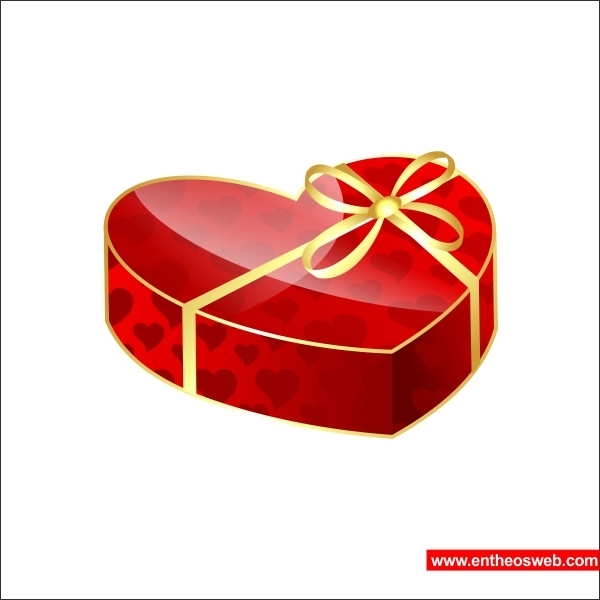 Arrange it on the bottom of the Outer Box. 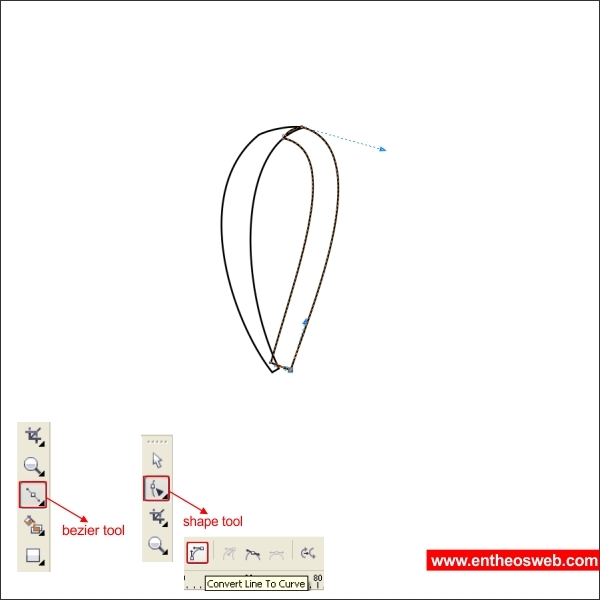 Okay now i need you to create a custom rose base shape using Bezier & Shape Tool", similar like below. 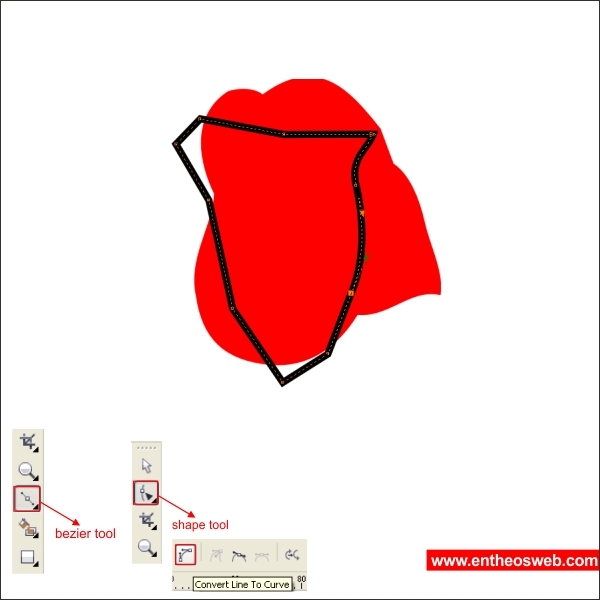 After put red color on it and create another custom shape on top of it using the same methods as above. 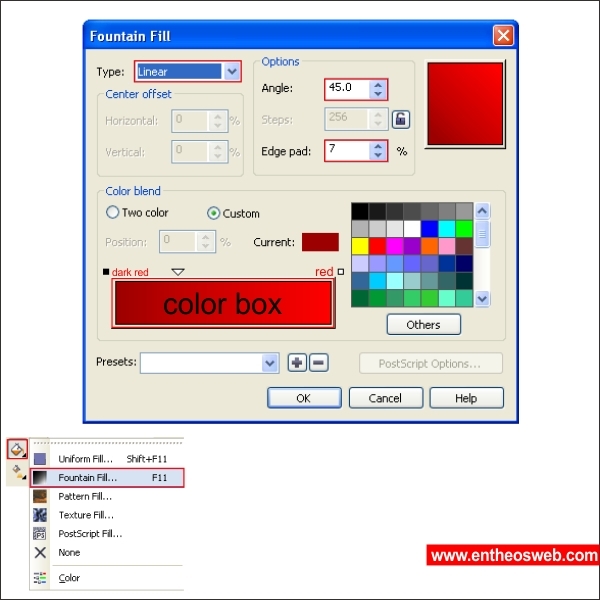 Put red gradient color in it and create another custom shape similar like below. 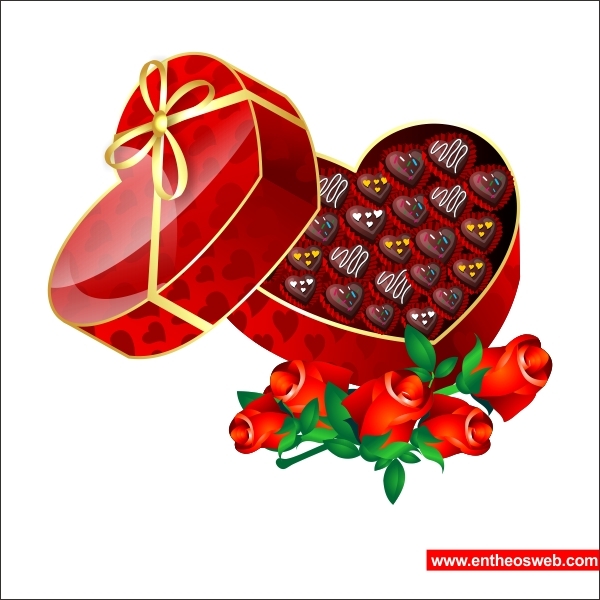 Now that you got the idea continue with the methods above to create a rose like shape. 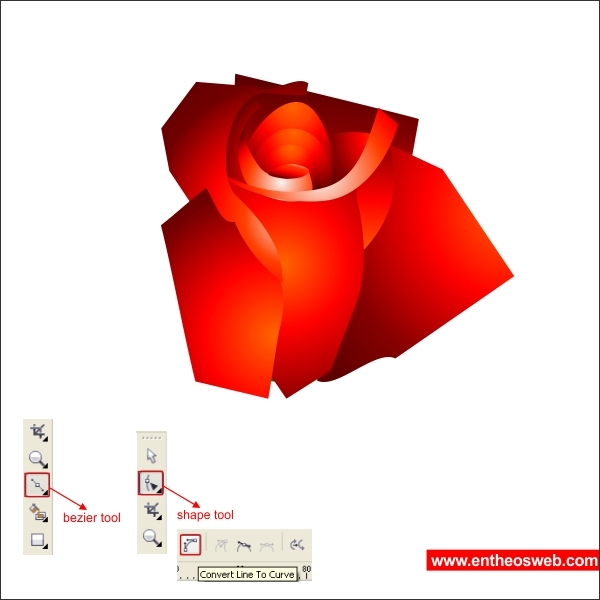 Put the rose inside the base rose that you previously create using "PowerClip". 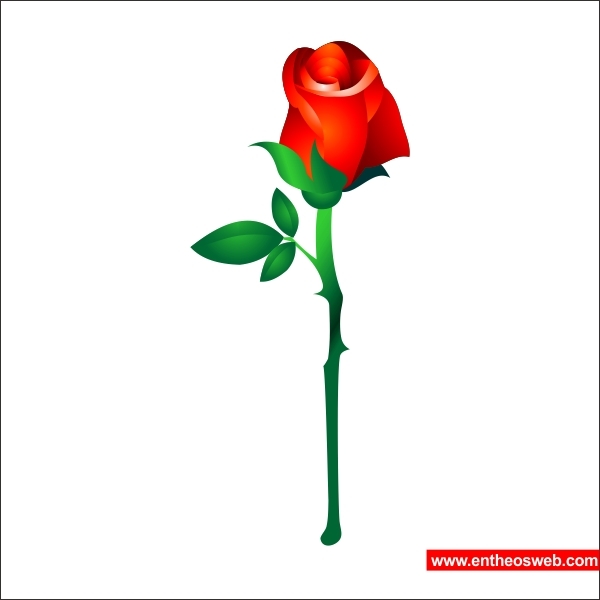 Using the same methods as above you can add details on the rose such as leaves and the stick. 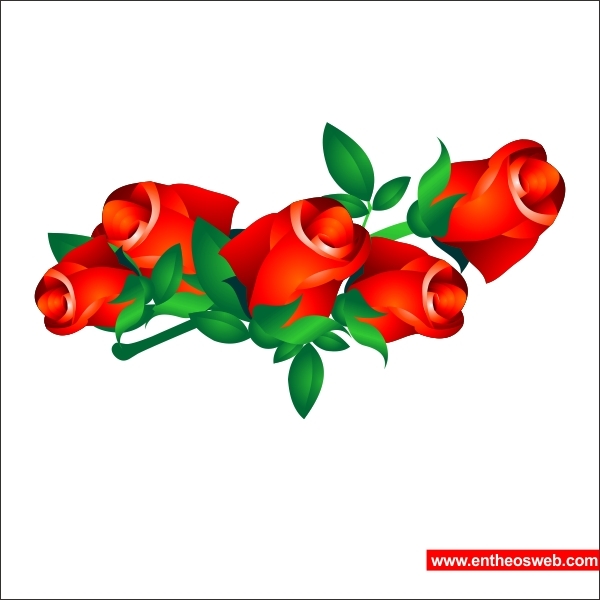 Now all you have to do is to copy and arrange the rose untill it looks like a rose bouquet. 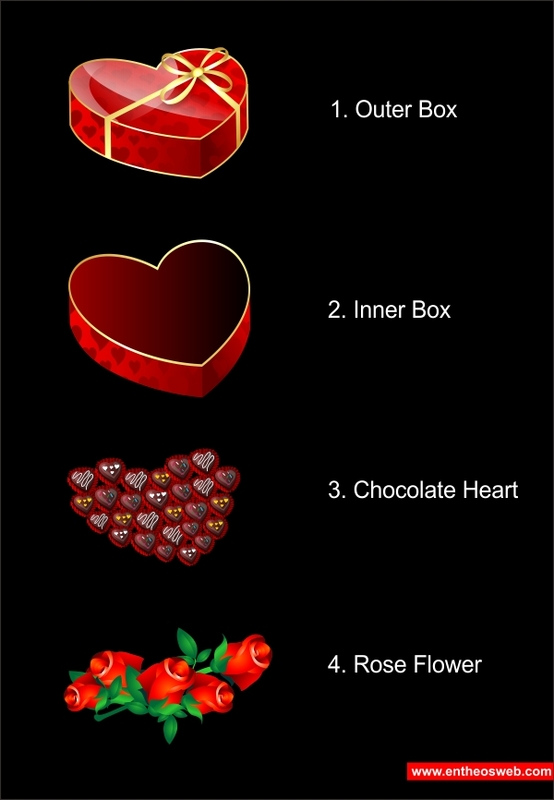 Group the rose using "Ctrl + G" and arrange it on the bottom of the inner box.